Graft-versus-Host Disease (GvHD), a systemic inflammatory condition, is the result of a reaction between transplanted donor T cells recognizing the antigenic disparities between the host and the recipient, which can result in multi-organ damage. Many risk factors affect the incidence of GvHD including age, the donor cell source, disease type, GvHD prophylaxis regimen, and whether full or partial HLA-matched donor grafts are used (Hülsdünker and Zeiser, 2014; Hill et al., 2018). In vivo models—more specifically NSG™ mouse models from JAX—are an advantageous platform to study this condition and to test therapeutics with the potential to treat it. In a recent study by Vanherwegen and colleagues (Vanherwegen et al., 2018), the authors tested whether ex vivo-generated 1,25D3-DCs, which are tolerogenic dendritic cells, would trigger the expansion of regulatory T cells (Tregs) and inhibit lethal xenogeneic GvHD in humanized NSG mice. The premise of the study is based on literature highlighting the modulating feature of vitamin D3, a fat-soluble hormone, in innate and adaptive immunity. The active metabolite of vitamin D3, 1α,25(OH)2D3, has been shown to disrupt the differentiation and maturation process of dendritic cells, forcing them to stay in the tolerogenic state. This type of treatment strategy would offer several benefits to controlling GvHD as well as preventing transplant rejection and possibly autoimmune diseases. The authors note that the use of NSG™ mice allows them to study an extreme form of GvHD, xenogeneic GvHD when engrafted with human peripheral blood mononuclear cells (hu-PBMCs) in an in vivo setting. Using this mouse model, the authors observed that a hu-PBMC engraftment would cause GvHD due to the immune reaction between human T cells and murine tissues. They further found in mice treated with a single co-transfer of 1,25D3-DCs along with hu-PBMCs, attenuated GvHD onset and also reduced disease manifestations compared to controls Based on these observations, the authors concluded that the active metabolite of vitamin D3 can induce a tolerogenic profile and could significantly delay the onset of GvHD, while not wholly preventing it. This study provides additional evidence supporting the use of tolerogenic DCs in the treatment of GvHD. The xenogeneic GvHD model in NSG™ mice provides the unique opportunity to test therapeutic approaches in an in vivo scenario. There are several advantages of using a mouse model to study conditions like GvHD, such as their size, cost of housing, and similarities to some human systems, which can provide a rationale for therapeutic development. Researchers utilize “humanized” mice, in which—simply put—selected mouse components are replaced by the corresponding human components, e.g., CD34+ stem cells or PBMCs. JAX, with over 11,000 strains, enables access to cutting-edge, humanized-PBMC-NSG™- mice—one of the most widely used models to study human-to-mouse-xenogeneic GvHD, as well as immune function in vivo. On the other hand, NSG™ mice transplanted with human CD34+ stem cells do not develop GvHD because nascent T cells undergo mouse thymic selection. One of the benefits of using NSG™ mice is that PBMCs engraft with high efficiency due to the lack of mature murine lymphocytes and natural killer (NK) cells in this host. The high degree of immunodeficiency allows for engraftment of larger cohorts from a single donor, yielding a robust and reproducible study platform. How can JAX help with your GvHD study? In addition to providing researchers with genetically stable, high health status NSG™ mice, and study ready hu-PBMC mice, JAX also helps design and execute studies to evaluate the efficacy of drugs to treat GvHD. With JAX, researchers have project support from Ph.D.-level study directors from initial project design to final reporting. Additionally, JAX GvHD efficacy studies include an arm using a clinically-approved immunosuppressive drug, such as etanercept, midpoint and terminal blood sample collection, survival curves, and detailed study reports. Other study options include FACS analysis of collected blood samples, tissue collection, additional treatment arms, and alternative benchmarking agents. For nearly 90 years, JAX has been empowering researchers worldwide with pioneering mammalian genetics modeling and education. 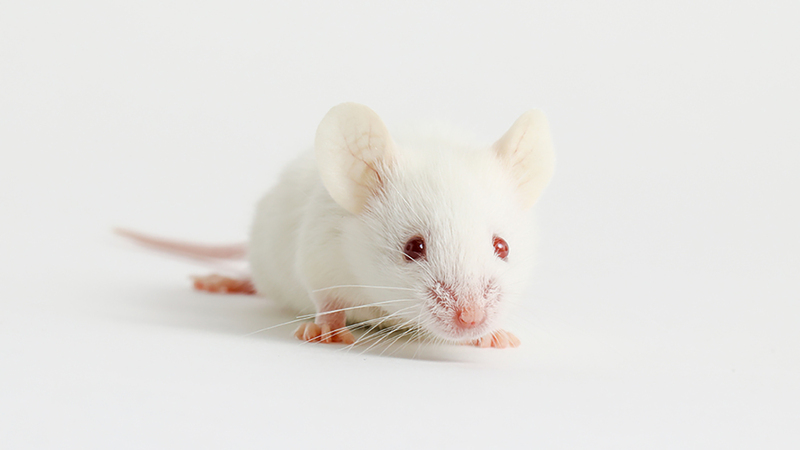 Visit the JAX humanized mouse model page or the GvHD study page to learn more about JAX mouse models or preclinical efficacy services. Hülsdünker and Zeiser, 2015. Insights into the pathogenesis of GvHD: what mice can teach us about man. Tissue Antigens. 85(1):2-9. DOI: 10.1111/tan.12497. Hill L, Alousi A, Kebriaei P, et al., 2018. New and emerging therapies for acute and chronic graft versus host disease. Ther Adv Hematol. 9(1):21-46. DOI: 10.1177/2040620717741860.